Rajeshwari was born on 2 March in Mumbai to a Punjabi father and a mother from Southern India. She was born on 2nd March while completed her schooling from Bombay itself, while for her graduation she headed to Guru Nanak Khalsa College (King’s Circle) in Bombay. She then started her career working with plays and theatre for the group called Indian People’s Theatre Association (IPTA). Talking about her personal life, she is married to Varun Badola in 2004. She hails from a South Indian family but was brought up in Mumbai only. 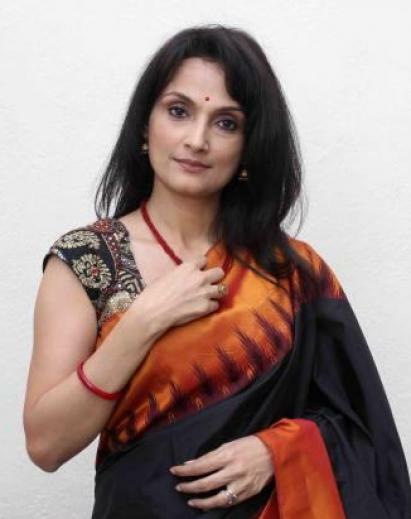 talking about her career, she got a Marathi movie called Aayatya Gharat Gharoba in 1991 and soon she got a B Town film by Shyam Benegal called Suraj Ka Satvan Ghoda in 1992. Since then it was no looking back for her and some of her earlier movies include Mammo, Sardari Begum, Samar, Hari-Bhari, Netaji Subhas Chandra Bose: The Forgotten Hero and Welcome to Sajjanpur. She also got the chance to appear in the Hollywood film called Little Buddha in 1993 and later was seen in another movie called Tales of Kamasutra: The Perfumed Garden in the year 1998. She then worked in the TV show called Samvidhaan, which was directed by Shyam Benegal. 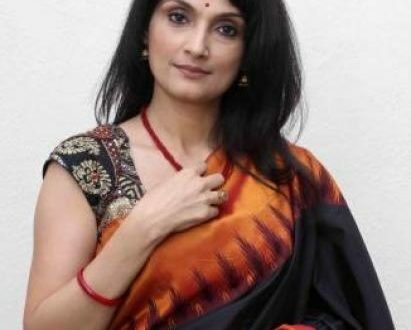 Besides appearing in movies, she also was seen in small screen doing a Zee TV musical show, which was co-hosted by Sachdev for the popular show called Antakshari (from 1994 to 2001) with Annu Kapoor. In the year 2005, she with her hubby Varun Badola was seen in the reality TV dance show called Nach Baliye. She was also the part of the Crime TV series called Rihhaee wherein she played the role of an activist. Some of her recent work, which includes mostly the Marathi movies include Welcome Zindagi Runh: The Debt, Bazaar E Husn, Issaq, and Samhita. And her recent TV shows include Balika Vadhu, Peshwa Bajirao, Dil Hi Toh Hai, which made her popular again on TV. Stay tuned to know more about her and others only with us till then you keep watching for others. Previous Catch Ani…Dr.Kashinath Ghanekar Trailer featuring Dr. Ghanekar vs Dr. Lagoo!